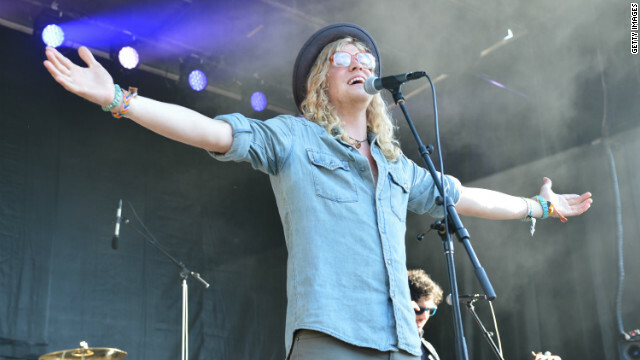 (CNN) - Allen Stone isn't your typical R&B and soul music star, but armed with an amazing voice and conscious lyrics, the Chewelah, Washington native has made a name for himself touring and performing for over a year. [2:14] "I wasn't allowed any secular music in the house - through the grace of the universe we'll call it, somebody gave me a Stevie Wonder record, 'Innervisions,' and that sparked just this revelation inside of my spirit of this is the music I have to make. I fell in love with soul music at this point." [6:12] "I want people to focus on my music. I don't want girls to come to my show because I poured a gallon of milk over my naked body in a music video. I don't want people who are coming to see me because I'm dating who knows who, cute hot pants from Hollywood." Stone says he believes he's spreading a "new gospel" of R&B and soul music and hopes that the other artists in his generation would strive to do the same.